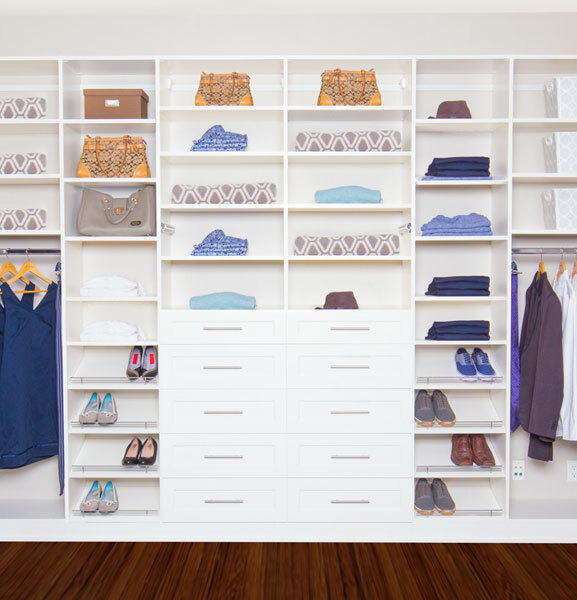 Reach in closets are the most common and one could argue essential storage solutions for most homes. In apartments where space is a premium, and storage needs to be maximized, a well designed and laid out reach-in closet makes a huge difference. A Sunburst Shutters and Closet custom designed storage system can more than double your useful storage space and transform your closet from something you are scared to look in, into your organized living secret weapon. Let our team of closet designers and utilization gurus show you some of the creative options available. At Sunburst Shutters, Blinds & Closets, we feature our own fully customizable lifestyle Closet organizers and useful accessories. When well laid out a reach in closet is not just a place for keeping clothes, shoes, and other accessories really arranged and easy to find, it is a powerful tool that enhances your homes liveability. Our team are Vancouver’s most qualified storage space and closet design consultants and will guide you through the Sunburst Closets process from your initial inquiry, through the design and accessorizing stage, installation, and even after installation support. Our business model is all about collaborating with the client every step of the way. Our team are dedicated to unrivaled customer service and believe that exceptional design will bring organization and reduced stress to their clients’ lives. No matter if you are living in a condo, or your dream house well laid out closets will help you make the most of it. Our experts know that reach in closets strategically located and designed to optimize functionality offer great value to any living space. The right closet can help free up an entranceway or bedroom from clutter and hazards making it easier to clean and making a great first impression on your visitors. 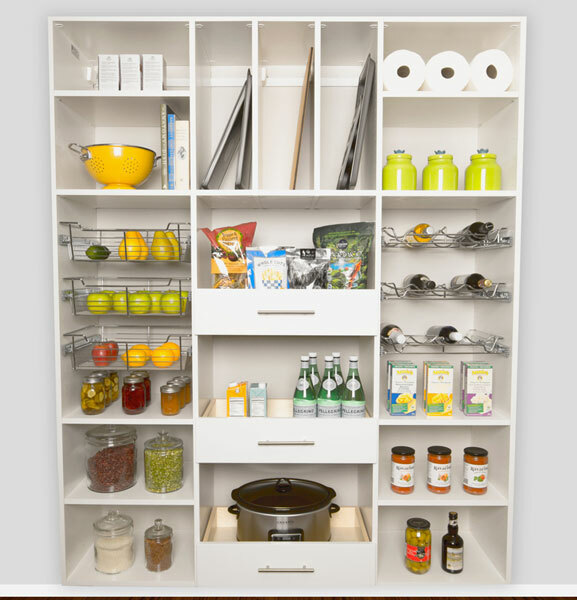 We can help you make use of all the space available with vertical storage options, cubby spaces and their options to allow every boot, coat, grocery bag, umbrella and another facet of Vancouver living to have an appropriate area to call it’s own. Suits and shoes, shirts and ties, slacks and dresses, mittens, scarves, towels and beach mats, we can cater for them all. Do you prefer an open concept closet or a design that keeps it all hidden away? Sliding doors, mirror-surfaced or wood; do you have lots of space or need to maximize a small area? Is the closet in an entranceway or bedroom? Does it need to provide day to day utility, long term storage or a combination of the two? These are all factors our team will take into account when helping you come up with a custom solution that is uniquely yours. We can build in drawers, layout shelves and match the interior and exterior to your preferred decor. Our innovative custom designs, attention to detail, use of top quality components and material and almost magical ability to maximize storage space will take any closet you are renovating, or planning to build, to the next level. Start your journey to closet perfection with a conversation with one of our experts today. You will be glad you did!